What is the potential value of a used 400W ATX power suppy. 250W which was abused by excessive power load. I bought a 400W replacement. be enriched with a replacement after market PS. information to make shopping for a new fan easy. and might not be worth your time dealing with a buyer. might fetch more on resale. going to list that PSU on Craigslist. sale, and my computer store stocks "smelly blue LED crap"
fan in the PSU is likely a "low" or a "medium". Some PSUs have two fans. they're good for. They likely last longer than that. bit before making a new diagnosis. The sympathetic vibration was cured. enriched with a replacement after market PS. Thanks Paul, for the advice. the connectors I need. I didn't know that! I thought standards were forever? Maybe I can get the problem solved tomorrow. capacity of the power supply. card connectors on four cables. there might be two clusters of storage devices. connected world, it would be different. "bump" into the back of the optical drive. what's on each of your supplies. standards were forever? Maybe I can get the problem solved tomorrow. until that PC is working. tolerate the tolerances on the 12V rail if done like this. the PSU is about to turn off the power. drops to 11V because of ohms law, the video card won't shut off. parallel and the voltage drop is slightly less. The 2x4 that splits into two 2x2 is for ATX12V by the processor socket. 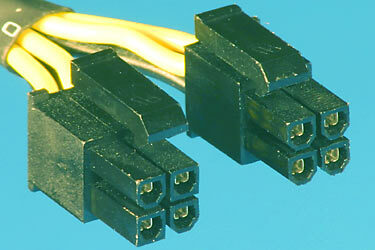 +12V (yellow) and which were ground (black). those too often when buying desktop power supplies. ATX12V. To solve that need, they combined more yellow and black wires. and tells the video card a proper 2x4 PCIe power was plugged in. You should have been able to see those on Playtool. legacy motherboards (near the CPU socket). Whereas this is the PCI Express that does 2x3 or 2x4 PCIe power. and that causes a short and causes the PSU to shut off (if you're lucky). 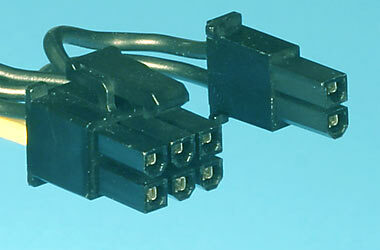 in the plastic ends of the connectors involved for ATX12V. | | | | | | | | control mating only one way. \_/ --- \_/ \_/ You will be using the *left* connector in pic. | | | | | | | | for all eight pins. \/ visual cue on how to do it. power up unless everything is electrically correct. app never went above 50 C.
I will study this new information at length. RAM. Where there is a need, a market will follow. one PCI slaot which I cannot use. Do you think this would be a good buy? These Ebay sellers are pros at this stuff. No, it's not SATA III. more likely to be a grey market Chinese motherboard. the same era, the first being more valuable than the second. The G41 is used on budget boards (perfect for sheering sheep in fact). The P45 is described here. most motherboard manufacturers claim support up to 1600 MT/s. 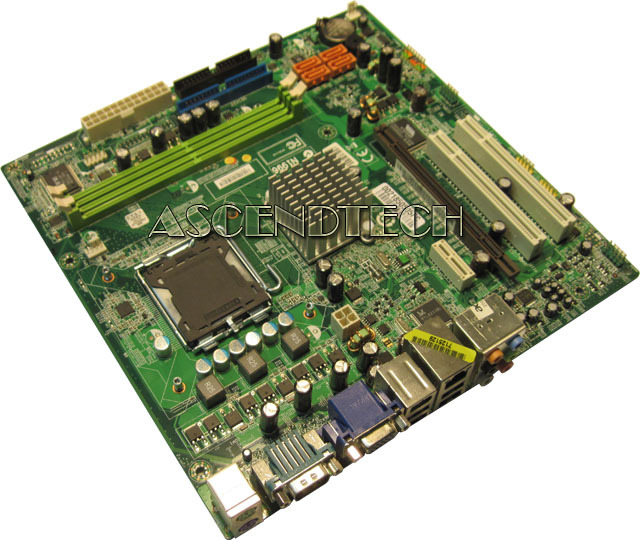 That board has four SATA ports off the four port block, equipped. The two port block is not connected to anything. gain in max-memory). A double-sided DIMM would be "half used". reason why we need a company name and a web site, to verify details. a Q9650 on a dare. fallen for it. But that's an immediate warning sign - "sheep shearing ahead". so they only accessed one side of your double sided DIMMs. for x8 and x16 chip types." The DDR3 stick with 16 chips, would be 2GB total on a stick. era where memory is hosted by an interface on the CPU itself. entered the "SATA III era", with a "bang". pair. The NB having the memory DIMM interfaces on it. will cost as much as the motherboard you're angling for. is handy for "super fast toys" of various sorts. with the purchase of those cards too). If you can live with SATA II, then "buy it". temperature app never went above 50 C.
8GB of DDR2 RAM. Where there is a need, a market will follow. Q9650 CPU (TDI 95W). I can use SATA III SSDs. It has USB 2.0, fine by me. board over laps one PCI slaot which I cannot use. on VCore. Those ones happen to be electrolytic. The reason there are numerically so many caps, is ripple current. current flows in each one. warm. The hotter a cap gets, the shorter its life. Now, Sanyo Oscons have a much higher ripple current rating. as were there before. And you use the same "class" of caps. you could use a 1200uF cap, or an 1800uF cap for all six. if someone is cheating purely by "volumetric considerations". means it was probably under more stress than would be desired. forced to do less than optimal installations of them. It's hard to get those caps out. There are two hole styles. I worked, used "straight" capacitor legs and "interference fit"
and spent around two hours one day, trying to nudge those out. The thing is, the solder is good and hot and is ready to behave. with a pair of pliers isn't working. And if you pull too hard ? The entire fillet comes out, and you're ****ed. So who ever is doing your re-cap job, they have my respect. the computer motherboards are inferior quality. soldering iron on the laminate, and the foil wouldn't lift. and I would not look forward to doing that a second time. just about any one could do one of those. as they go through the soldering process.